Kelly Goldsmith, Ph.D. | Vanderbilt University Kelly Goldsmith, Ph.D.
Dr. Goldsmith is a behavioral scientist who examines consumers’ responses to uncertainty and scarcity, uncovering and explaining seemingly paradoxical effects. In one line of research, for instance, she finds that incentives of uncertain value can be just as motivating as incentives of guaranteed high value. In another body of work, she shows that resource scarcity (a state of uncertainty) can lead consumers to be more generous, not just more selfish. She also demonstrates that associating a brand with innovation can actually reduce consumers’ interest in the brand’s products, because buyers associate innovation with uncertainty. She has dedicated herself to this area because marketers must understand how consumers respond to uncertainty in order to understand and predict consumer behavior. Dr. Goldsmith began her research program as a doctoral student in marketing at Yale University, where her research on self-regulation integrated behavioral decision theory with goal theory. After receiving her doctorate, Dr. Goldsmith joined the Kellogg School of Management as an Assistant Professor of Marketing. At Kellogg, she received multiple honors and awards for both her research and teaching. In 2017, she joined the Owen Graduate School of Management at Vanderbilt as an Associate Professor of Marketing. She publishes regularly in top marketing and psychology journals, and is currently serving on the editorial review boards of three major marketing journals: the Journal of Consumer Research, the Journal of Marketing Research and the Journal of Consumer Psychology. In addition, she maintains the website understanding scarcity, which curates and disseminates academic research on the broad topic of how “having less” shapes consumer behavior. She is co-editing a special issue of the Journal of the Association for Consumer Research on this topic, which is currently accepting submissions. She is also co-editing a special issue of the Journal of Consumer Psychology on Consumer Psychology for the Greater Good, which is currently accepting submissions. 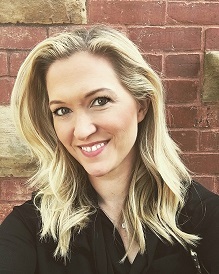 She is also the founder of the Vanderbilt Marketing Hub, which is dedicated to providing opportunities for education, engagement and connection for Vanderbilt students interested in marketing careers.